You know you have a full week ahead but you know you must be forgetting something. You just can’t place your finger on it. The phone rings and your daughter calls from soccer practice because she was supposed to bring the snack for break time and you had forgotten. You have to drop what you’re doing to run to the store to find something to feed 20 kids in the hot weather and you go to pay. Except your credit card is missing, you can’t even remember when you used it last. Right, the toddler had your wallet earlier that day and you vaguely remember him jamming your card into his ride on toy thinking you’d remember to grab it later. If you sound like a mess than you sound like me. That has totally happened to me. I just had to order a new credit card because I forgot it when I was at the vet. I had the dog and my son walked in and I was all distracted and there goes my card. Luckily they had it but it was a Friday and I wouldn’t be able to get confirmation until Monday so I closed it. What happens when you miss or forget things? It throws you off of your game. If there’s something important our family has to do, I have to write it down. I like the weekly schedule because I can see an overview of my week and see where I’ll have pockets of time or where I’m packed full. If there’s something I need to send in or email, I write those down, because I always seem to think that I replied but then a week goes by and I didn’t, only in my head. Seriously, who does that? This schedule is editable so if you open it up on Adobe reader on your computer, you can edit it yourself and add in anything you’d like. If it’s a list of to do items, I like to keep my list to 3 things so I know it’s doable and I’m not stressing myself out with 20 items on the list. If you’re looking for a full planner take a look at these. Well Planned Day, Family Homeschool Planner, July 2017 – June 2018 Well Planned Prayer, July 2017 – June 2018 Day Designer for Blue Sky 2017-2018 Academic Year Weekly & Monthly Planner, Twin-Wire Bound, 5 Magnetic Weekly Meal Planner and Grocery List Notepad. Perforated Shopping List Pad. 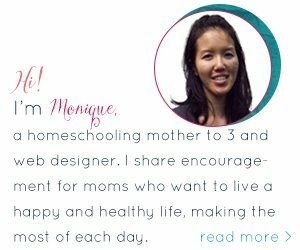 Organized Mom Big Shop & Menu Planner. Large Refrigerator menu planner pad with pencil. Pocket for coupons. 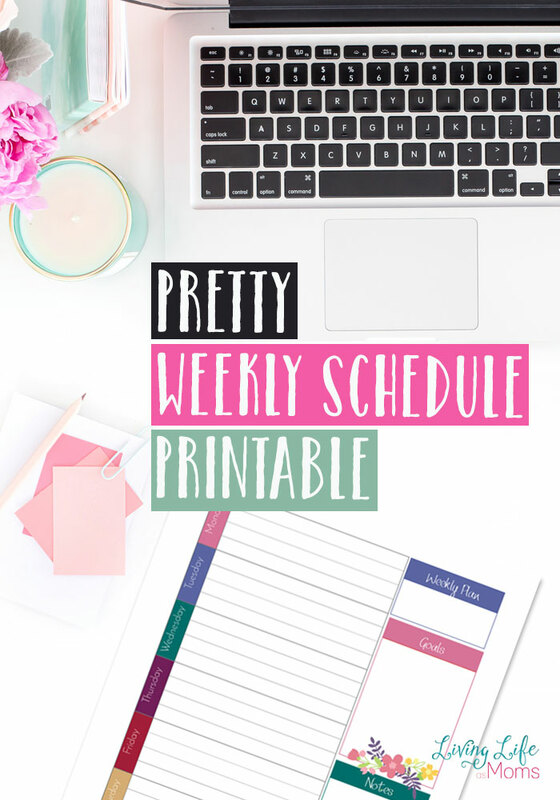 Take a look at the Free Organization Printables for Busy Moms series, it’s filled with even more free printables.